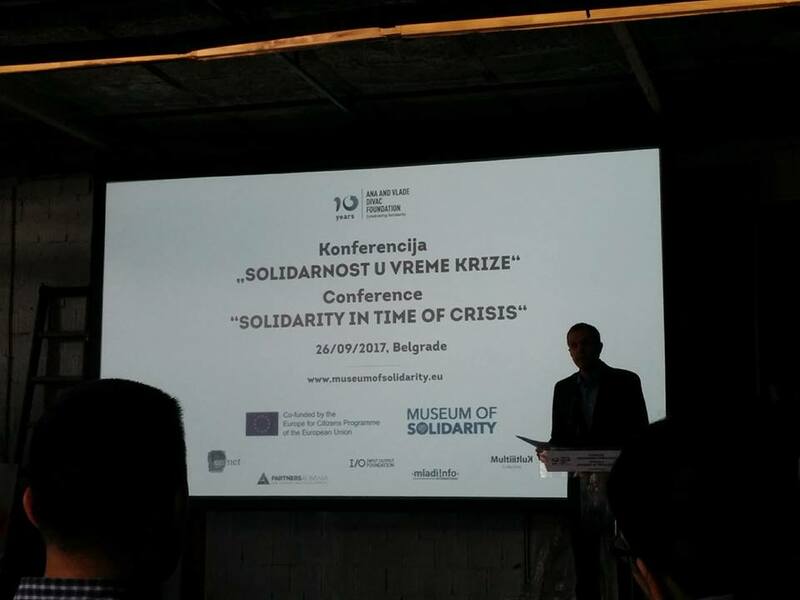 Conference “Solidarity in time of crisis” is the final part of the project “Celebrating Solidarity” which Ana and Vlade Divac Foundation implemented during 2016 and 2017 with partners from 5 countries with the support of the European Union’s Program „Europe for Citizens“. On 26 September 2017 in Belgrade, Serbia, participants of the conference had an opportunity to hear the speech Serbian basketball player, Ms. Natasa Kovacevic who is running the Foundation dedicated to promotion of female sport and support to seriously injured athletes. Ms. Marina Tadić, representative of The Serbian Office for Cooperation with Civil Society who is also a contact for the Program „Europe for Citizens “ shared information about the support that organizations from Serbia got through this EU program. During the conference the results of the “Celebrating Solidarity” project were presented as well as activities which were conducted with partners from Radio Kit Foundation (Poland), DemNet (Hungary), Multi-Kulti Collective (Bulgaria), MladiInfo (Macedonia), Partners Albania, (Albania) and Ana i Vlade Divac Foundation (Serbia). The representatives of all organizations were presenting project activities – creating audio and video stories about solidarity among individuals; research on solidarity among youth and also Solidarity festivals in Bulgaria, Macedonia, Albania and Serbia. The important part of this conference was dedicated to media and individuals who are leaders of solidarity in Serbia. During the first part, panelists discussed media role encouraging solidarity, information share and engaging of citizens and companies in projects which support vulnerable individuals or groups. Journalist from Albania – Ms. Orinda Huta, Macedonia – Mr. Ognen Janeski also participated in the conference and shared their experiences about solidarity in the time of crisis. On the second panel participants met individuals who are making an effort in helping people around them, even developing some of the activities across the region. Various activities of these leaders of solidarity drive media attention, but they also motivate other people and companies to help and show solidarity. 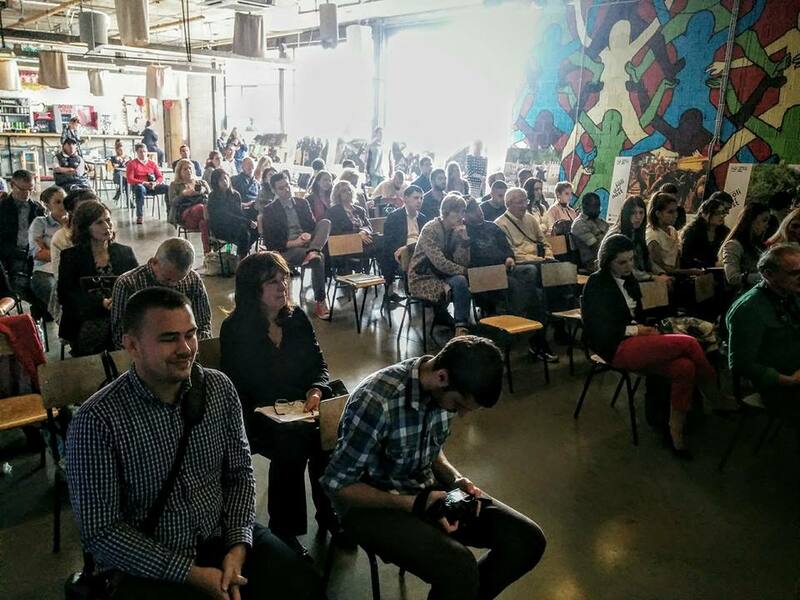 A part of the conference was the travelling photo exhibition which was seen in 10 cities across Serbia created in cooperation with the Tanjug News Agency whose photographers took photos in the times of crisis such as catastrophic floods in May 2014 and the Migrant crisis which escalated in Europe in the summer of 2015. We would like to share a part of the letter which we got from one of the participants of the conference. “Today’s conference, for me personally, was the ocean of the inspiration, proof that people who care really exist, that people who are ready to give the last atom of their strength when they know that they are doing the right thing, no matter how impossible the goal may seem”, Mr. Adrian Nikačević, country director, Jesuit Refugee Service. 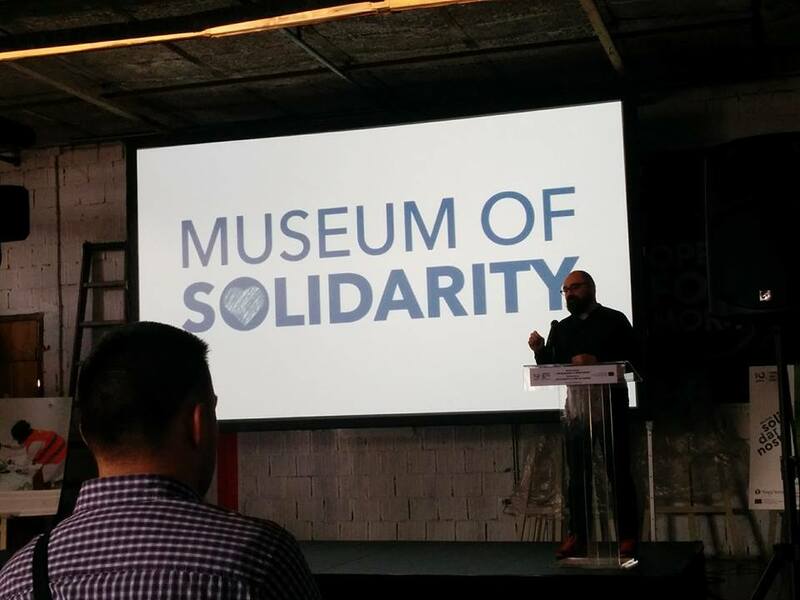 More about the project on Virtual Museum of Solidarity.